These Black Picket Fence Cut-Outs will add the look of an old weathered fence to your Halloween displays. 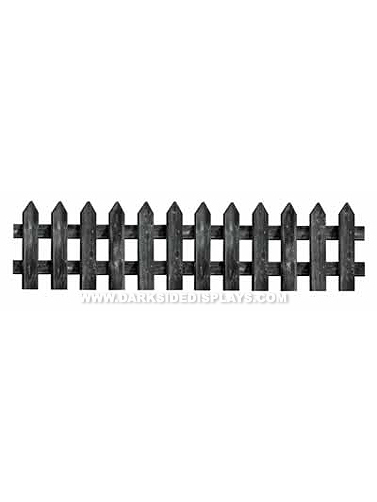 Package includes 3 double-sided cutouts shaped like a black picket fence. Each cutout measures 24.75"L x 12"H. 3 pc.